I think it's fair to say Mission: Impossible-Fallout is, if not the best chapter in the long-running franchise it is certainly up there. 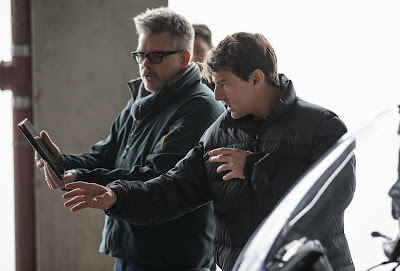 The duo largely responsible for that are, of course, Tom Cruise and his pal Christopher McQuarrie, who have collaborated on numerous projects over the years. And now they'll team up for at least two more, as McQuarrie has inked his deal to write and direct two more Mission: Impossible films. Interestingly, McQuarrie plans to shoot both films back-to-back, beginning as soon as this year. The plan would be to release Mission: Impossible 7 in summer 2021 with the sequel to arrive a year later. This avoids conflict with Cruise's other big franchise flick, Top Gun: Maverick, which opens in 2020. Cruise will be 60 by the time that second M:I film opens, and he'll probably celebrate by jumping out of a plane without a parachute. Or has he already pulled that one off? Pretty sure he has.